Editor's note: This article was edited by the author after publication. 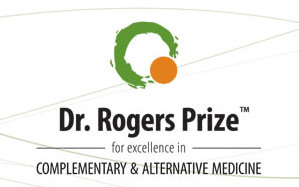 The most significant prize granted anywhere to an individual contributing to the advance of complementary, alternative and integrative medicine is the $250,000 Dr. Rogers Prize. The award for “Excellence in Complementary and Alternative Medicine” has been made every two years since 2007 to a Canadian leader in the field. On September 14, 2017, at a black-tie gala in Vancouver, BC, the 2017 award was made to naturopathic clinician, educator and researcher Dugald Seely, ND, MSc, FABNO. 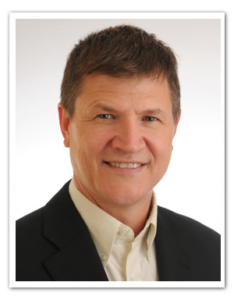 Seely is the founder and director of the Ottawa Integrative Cancer Centre (OICC), the first clinical care and research center of its kind in Eastern Canada. The vice chair of the Oncology Association of Naturopathic Physician (ONANP) and director of research at the Canadian College of Naturopathic Medicine is presently co-directing the $3.85-million POISE Thoracic study on the use of integrative treatments for esophageal, gastric and lung cancer patients who undergo surgery. The Dr. Rogers’ Prize was named in honor of Dr. Roger Rogers, a British Columbia physician whose pioneering work in offering complementary and alternative treatment for cancer patients led to appointment to the Order of British Columbia in 2001. The award is funded through the Lotte and John Hecht Memorial Foundation. In his acceptance speech, Seely noted that Hecht acts as Canada’s version of the U.S. National Center for Complementary and Integrative Health. He shared that his work has benefitted from Hecht grants in the past. In his acceptance speech at the Dr. Rogers’ Prize event, Seely chose to briefly educate this audience about his profession. He noted that naturopathic has played formative roles in shaping functional medicine and integrative medicine. He shared with the audience the six principles of naturopathic medicine, and suggested that they can be applied as healing guidance to any individual or organization, local or global. Seely is the first naturopathic physician anywhere in North American to be granted a major award in complementary and integrative medicine. The previous recipients of the Dr. Rogers Prize are Alastair Cunningham, MD and Abraham Hoffer, MD (shared, 2007), Hal Gunn, MD (2009), Badri (Bud) Rickhi, MD (2009), Marja Verhoef, PhD (2011), Sunita Vohra, MD, PhD (2013) and Heather Boon, PhD (2015). The Dr. Rogers’ Prize release underscores the challenges that pioneers on complementary and alternative medicine often face. The text notes that when the “observations (of these pioneers) conflicted with established scientific opinion” that they are frequently “dismissed as superstition or absurdities and ignored.” The Dr. Rogers’ Prize decision is juried through a multidisciplinary, international panel that reviews application materials for all nominees. Comment: The award to Seely is to a professional for whom “integrative” is literally in his family. The son of a prominent Ontario medical doctor, Seely noted in his acceptance speech that his two brothers are medical doctors and his sister a veterinarian. 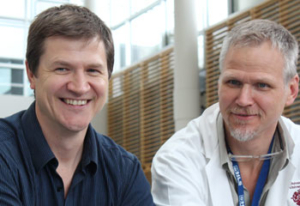 His partner in guiding the Thoracic Peri-Operative Integrative Surgical Care Evaluation (POISE) is one of those brothers, Andrew Seely, MD, an associate scientist at The Ottawa Hospital, where Dr. Andrew Seely is the director of research for its Division of Thoracic Surgery and also an associate professor at the University of Ottawa. Good to see the Dr. Rogers Prize, which has already honored a pharmacist, and researchers known for pioneering whole systems approaches, add this deserving naturopathic physician researcher to the Prize’s own family of awardees.